Since you were a little kid, friends and strangers alike have been asking you the age-old question: “What do you want to be when you grow up?” It got you thinking, even if you didn’t have the greatest response. Now that you’re grown up, that question has evolved. Today, people who want to get to know you better ask, “Who are you?” That question is probably getting you thinking as well. And the answer you give has everything to do with personal branding. Whether you know it or not, you have a personal brand. Right now, this very minute. Everything about you exudes your brand, both online and in person. It’s in the way you hold yourself, what you wear, how you speak, and what you say. It comes through online, over the phone, and in person. It doesn’t matter if you’re an entrepreneur, business professional, or job seeker; personal branding is important to you and to those with whom you interact. Why? Because it not only says who you are, but it shares the value you can provide. Need even more reasons? Read these top 5 reasons. And don’t kid yourself: People are making almost instantaneous decisions about you based on your personal branding. They’re determining if they want to do business with you, be your friend, date you, and even talk to you! It’s that fight-or-flight response in our monkey brains that kicks in, and it makes us like or dislike people, often with no real thought as to why. The first thing to consider in your personal brand is the answer to the question, “Who are you?” Networking trainers are even suggesting using this question, specifically, when meeting new people. Skip those traditional questions about what you do and go right for the gut. You may be surprised at the answers you’ll receive. If you were on the receiving end of the “Who are you?” question, how might you respond? Most of us think of our professions first: Realtor, doctor, business owner. But what if you’re a job seeker? It’s certainly not imperative that you go to your profession when asked who you are. You could say you’re a parent, child, sibling, or wild Disney fanatic. But a lot of our identity is tied to what we do. It becomes who we are. And that can be a tripping point for a job seeker. It’s up to you how you want to communicate your personal brand, but you have to have a story. Personal branding is all about the story you’re telling—both to yourself and to others. It needs to resonate with you before it can resonate with anyone else. Do you want to be a one-word answer? Or do you want to be a value-added story? When it comes to branding, storytelling is an extremely effective approach. “Signature personal brand stories can drive your career,” shared John M. O’Connor in a Feb 2018 Forbes article. And that’s true no matter what kind of career you’re in and whether you have your own gig or work for someone else. You need a great story to tell people who you are, as well as the value you can provide. A perfect starting point is your why. What gets you up in the morning? What makes you smile? Share your passions, your purpose, and your goals in life. Tell the person that you make amazing brownies and plan to climb Mt. Everest before you die (if it’s true, of course). Boast about your kids and how your son is the #1 player on his soccer team. Gush about how much you love helping your clients solve their challenges. Anything is fair game in personal branding, really, but it needs to be true, authentic, and engaging. Although we can’t always include all three in everything we do in the marketing realm, it’s a goal that underlies all of those messaging efforts. And you can have the same goal in creating your personal brand story. You have roughly five seconds to grab someone’s attention, and some would argue that can be as low as three seconds. In marketing, we call it the three-second rule, and it usually relates to websites: Can someone who is visiting your website for the first time tell what you do in three seconds or less? If not, the website needs to be fixed. Now, apply the three-second rule to your personal branding. Assume that whoever is reading about you on LinkedIn or your website or who is listening to you in an elevator or at a networking event is only going to pay attention for three seconds. Can you engage them to keep listening? Once they’re engaged, can you entertain them so they’ll keep listening? And once they are both engaged and entertained, are you able to educate them so they know how you can help them or their network? Putting the three E’s together will keep you top of mind for your audience as well because now they’re “in.” But there’s one more aspect that you may not have even considered. If personal branding is all about your story, you need to start creating something wonderful. This may take some time, and some of us are still working on our story even now! Keep in mind as your crafting the answer to “Who are you?” that your personal branding story is part why, part three E’s, and all heart. There are two words in personal branding: personal and branding. Branding is marketing, and that’s how you’re different from others. But personal digs deeper. Who are you at your core? Get beyond that marketing rhetoric for a minute. Be vulnerable. Be open. When you are able to create a story that blends both personal and branding, you’ll be on your way to really sharing more about yourself. By sharing more about yourself, you’ll start creating relationships. And as we all know, it’s the relationships we have that help us win—in business and in life. Ink & Quill Communications offers outsourced CMO services to clients in Phoenix, Arizona and around the globe. We also specialize in personal branding. Learn more by scheduling a free call or leaving a comment. 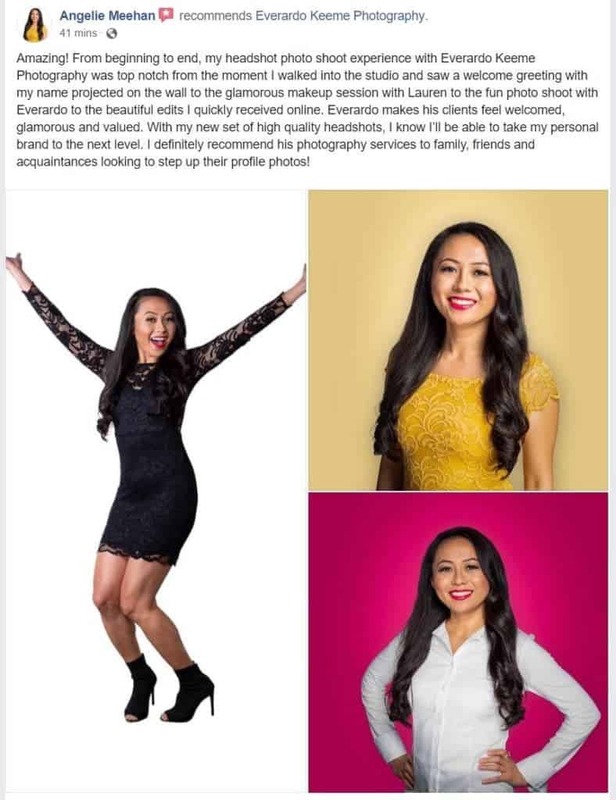 Everardo Keeme is a Personal Brand Photographer, Certified Professional Photographer and the photographer for the Waste Management Phoenix Open. He is a member of the Professional Photographers of America (PPA), American Society of Media Photographers (ASMP), and the Arizona Professional Photographers Association (AZPPA). This entry was posted in Blog and tagged Amanda Miller, Everardo Keeme Photography, Guest Post, personal brand, Personal Brand Photography, personal branding, Phoenix Photographer.